Beijing, Aug 17 (IANS) Chinese President Xi Jinping on Thursday said he expects military relations would become a major stabilising factor in Sino-US ties as he met visiting Chairman of the US Joint Chiefs of Staff Joseph Dunford at the Great Hall of the People here. Xi received General Dunford, the first senior military official to visit China since US President Donald Trump took office, at the presidential palace in Beijing, Xinhua news agency reported. The Chinese President, also chairman of the Central Military Commission (CMC), said that although the visit was brief, it was wide-ranging, showing how relations between the two armed forces have made substantial steps forward. He applauded the new progress made in relations between the two armed forces, such as enhanced dialogue at all levels and improved military confidence-building mechanisms as well as deepened cooperation. During Dunford’s visit, the two militaries signed the framework to build a new communication mechanism for their joint staff departments, which Xi said will play a positive role in boosting bilateral ties. Xi said he hopes that the two armed forces could make good use of existing cooperation mechanisms and platforms to push forward their relations. “China is ready to make joint efforts with the US to show mutual respect, focus on cooperation and accumulate more fruitful results to benefit people of the two countries. 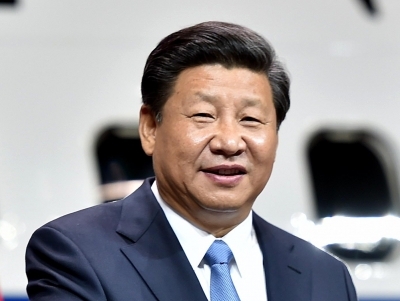 “As major influential countries in the region and the world as well as world’s top two economies, China and the US shoulder important responsibility to safeguard world peace and stability and to promote global development and prosperity, Xi said. “President Trump and I have attached great importance to Sino-US relations and are willing to actively promote the continuous development of bilateral ties,” he added. Dunford conveyed the greetings of Trump to Xi, saying the US President expects to visit China this year. He said that under the strong leadership of the two heads of state, bilateral military relations have made positive progress and the two armed forces are in a mature relationship. Dunford said the US is committed to conducting sincere and professional dialogue with China in the military realm. During his visit, Dunford also met Fan Changlong, Vice Chairman of the Central Military Commission, who urged the US to rule out military intervention in North Korea. Dialogue is the only solution to the nuclear crisis in the Korean peninsula, and not military action, said Fan, according to a statement by the Chinese Defence Ministry. Dunford’s visit came a week after tensions between North Korea and the US reached a peak, with both sides exchanging military threats, the report said.